Speaking from personal experience cycling the Coast to Coast has to be on your bucket list! It is an absolute classic cycling journey providing you with all the best you crave on a cycling trip. 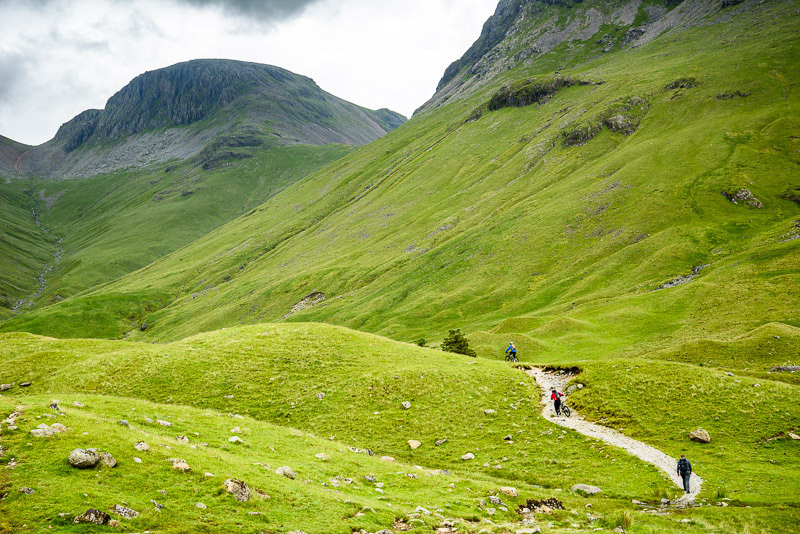 Although not permitted to follow exactly the same path as the walkers, it is the only ride you can do in the UK and perhaps anywhere in Europe that takes you from Sea to shining Sea through three distinctly different National Parks – in fact you will spend around 90% of your ride inside the Parks. Unrelenting in variety, the backdrop to your ride is made up of the amazing Lakeland Fells, the largest heather moor in the world, the unique character of Swaledale, unspoilt villages, and quiet, near traffic-free roads. It’s also the only ride you can do that gives you the opportunity to conquer three of the top 10 best climbs in the country in one go and savour the exhilarating descents such achievements bring. So why wait any longer and tick off Hardknott, Wrynose, The Struggle and many more equally challenging but maybe less well known climbs across Swaledale and the North York Moors almost all the way to Robin Hood’s Bay? And what can be better than riding unencumbered by any luggage as the Packhorse does all the work and reassuringly arranges an array of high quality accommodations.